But did you know it’s one of the most popular games on Steam? Or at least it was, for a brief period last weekend? Sort of? So what happened? Apparently, Grant and his team attempted to give out some free keys to the game, but ran into more demand than they expected. When they eventually decided on just going with a free weekend, the game’s population shot up exponentially, even though Grant couldn’t see evidence of people actually playing the game from his end. It turns out that, over the free weekend, players could still earn Steam Trading Cards, which normally require a purchase. 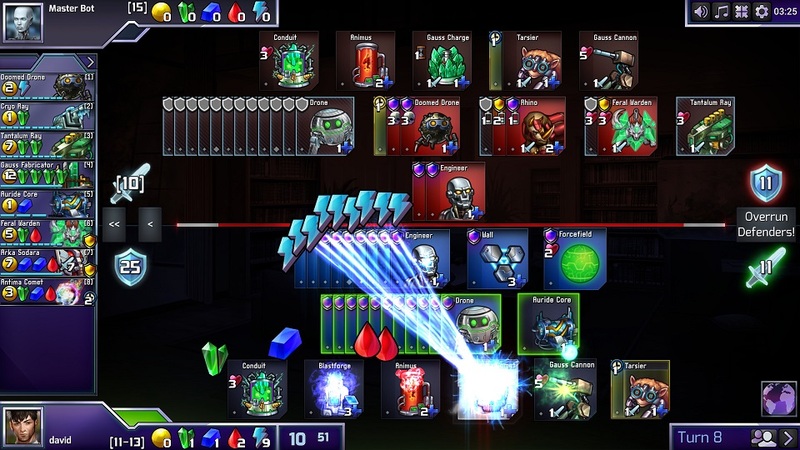 As a result, card farmers logged into the game and sat around for hours, or used farming utilities, like the ones described here, to pick up the cards without logging into the game. On the bright side, Grant said that the promotion got about 20,000 legitimate new players into Prismata. That seems to be backed up by Steamcharts, which says the game peaked at about 200-300 active players last week and now draws a few thousand at any one time. Grant said he’ll use his commission on the cards that were earned — about a cent each — toward tournament prizes for the community.